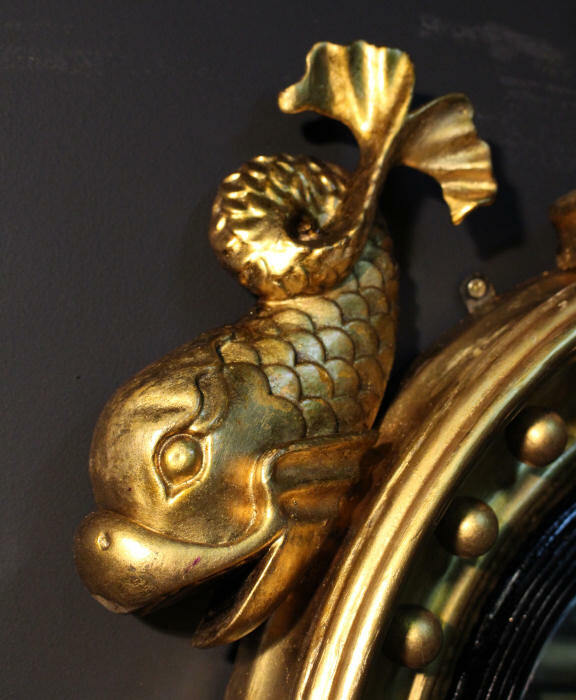 Dating to the first quarter of the 19th Century, a superb example of a Regency Gilt Convex Mirror surmounted by magnificent sea creatures. 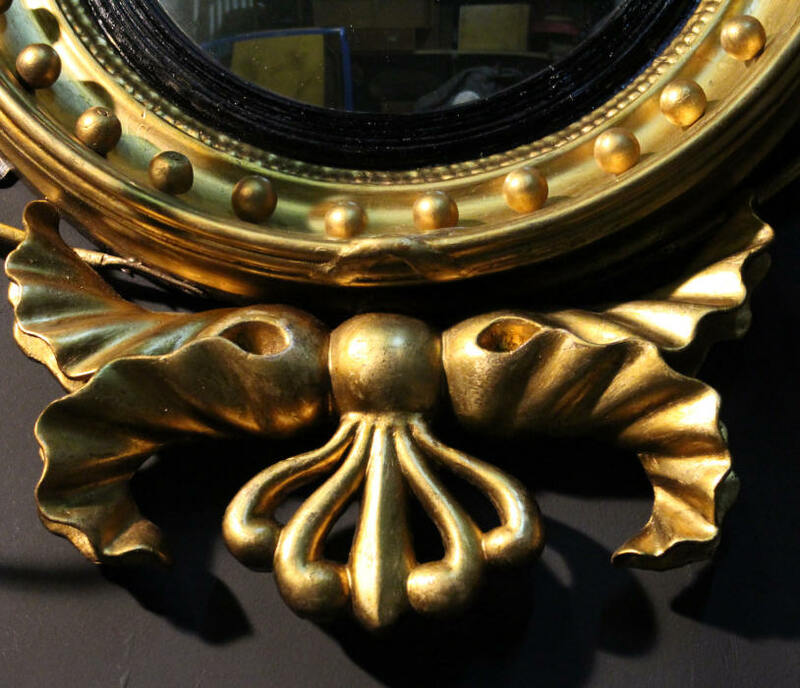 The original convex glass in contained within an ebonised reeded slip and then a deep moulded plater gilt frame and is in excellent condition. 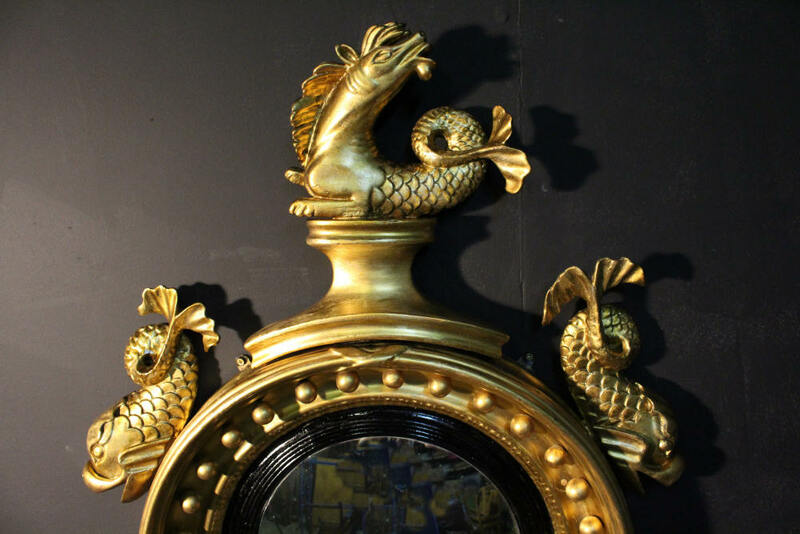 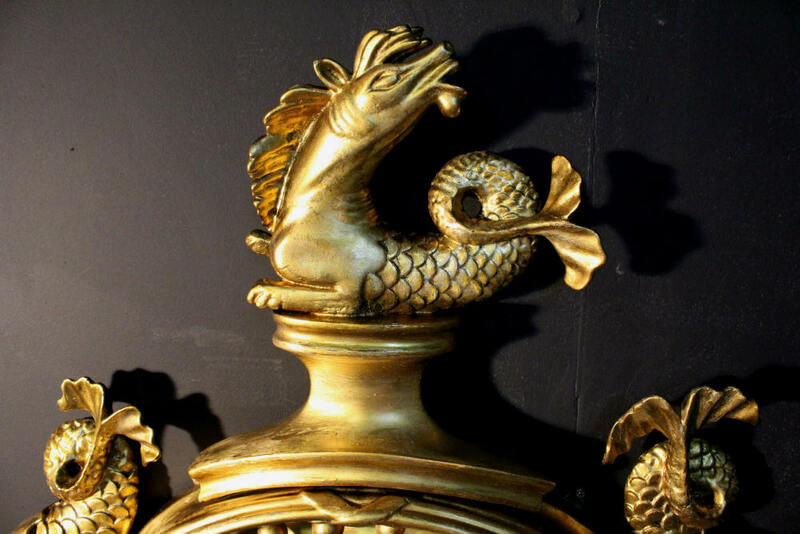 This mirror is surmounted by a wonderful sea horse and 2 dolphins either side . 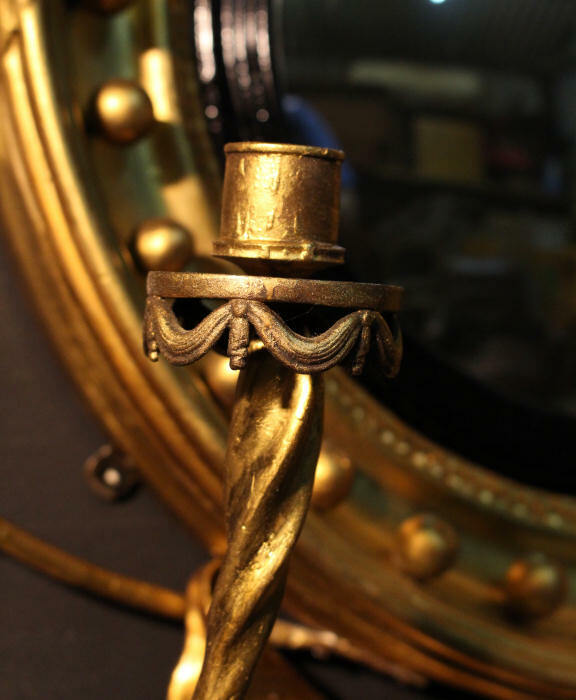 To its base is an attractive foliate suspended pediment, flanked by plaster and iron girondle arms each terminating in original brass candle holders. 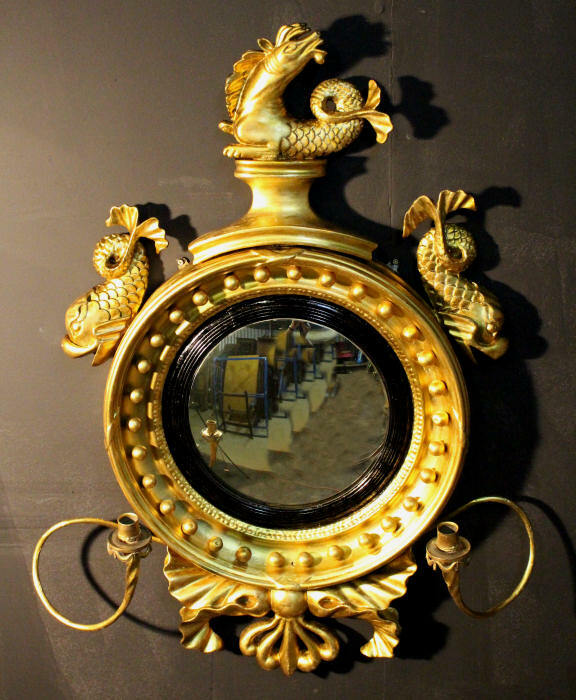 An exceptionally unusual example, would be very hard pushed to find another like this! 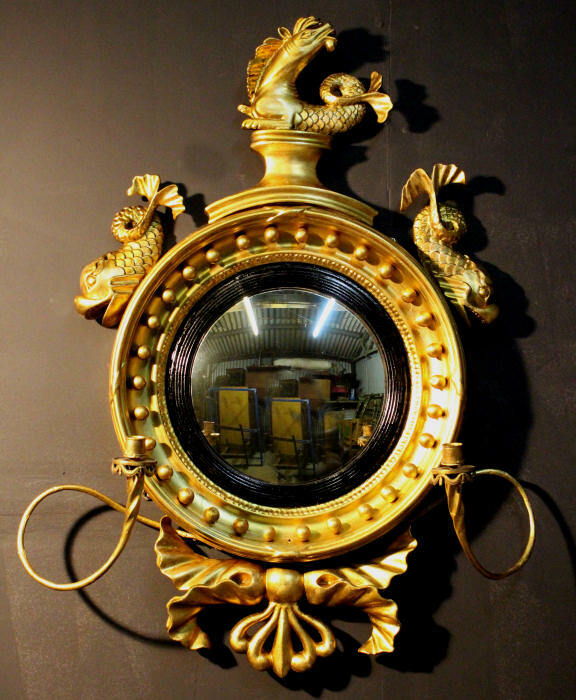 This extra large example would make a wonderful statement and add a real wow factor in any room.